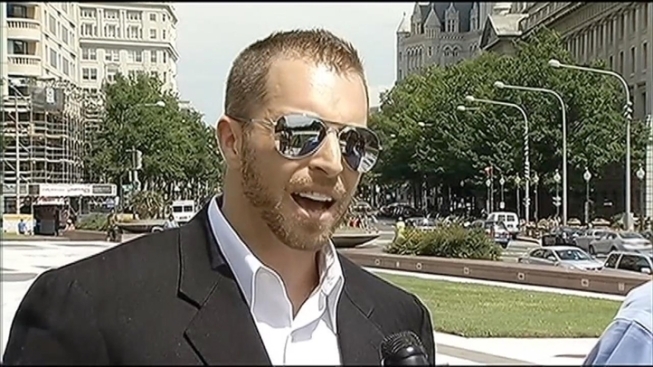 Gun rights activist Adam Kokesh says a video that depicts him loading a shotgun on D.C.'s Freedom Plaza was real. Kokesh loaded a real shotgun with live ammunition around 8 a.m. July 4 before uploading the video to YouTube, he told News4's Mark Segraves on Monday. The background was not a green screen, he told Segraves, and no one stopped him as he made the 23-second video. Kokesh, an Iraq war veteran, said Monday that his actions were intentional. It doesn't make sense that he can have a gun on one side of the river and not the other, he said. 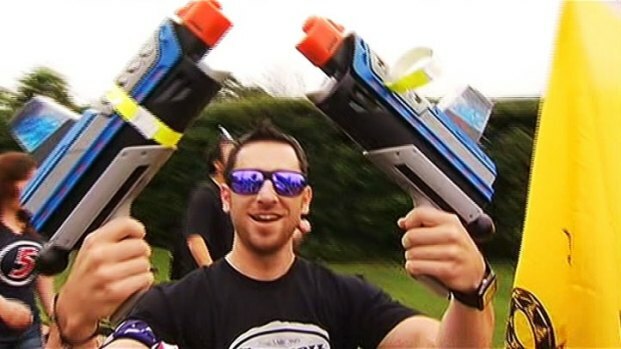 Gun rights advocates marched on the National Mall Wednesday -- while "armed" with water pistols. It is illegal to carry guns in the District of Columbia. In the video, titled "Open Carry March on DC a Success," Kokesh looks directly into the camera as he loads bullets into a shotgun. "We will not be silent; we will not obey; we will not allow our government to destroy our humanity," Kokesh says in the video, while periodically loading bullets and then cocking the gun. "We are the final American Revolution. See you next Independence Day." Kokesh said he believes he is the legal owner of the gun shown in the video, but declined to say where -- or if -- it was registered. Kokesh was the organizer behind the called-off Open Carry March, which he said would have had at least a thousand people marching -- with their guns -- from Virginia across the Memorial Bridge into D.C. on July 4. The D.C. event was cancelled in advance, with Kokesh urging people to protest gun regulations at their state capitols instead. Kokesh said thousands of people did so -- but he's planning for a new attempt at an Open Carry March in the district next year. "Now that we have a year, now that we're doing something that's much more open-sourced, we're going to be marching again next Independence Day, and it's going to be the route that we had planned," Kokesh told Segraves on Monday. "If people want to march for whatever reason they want to, that's fine. It's not about guns; it's about challenging the authority here in Washington, D.C."
Police said Thursday they were investigating the authenticity of the video, and have indicted to News4 that they believe Kokesh may have been using a green screen. "They know from the [security] video cameras here [in Freedom Plaza] that we were here," he said.